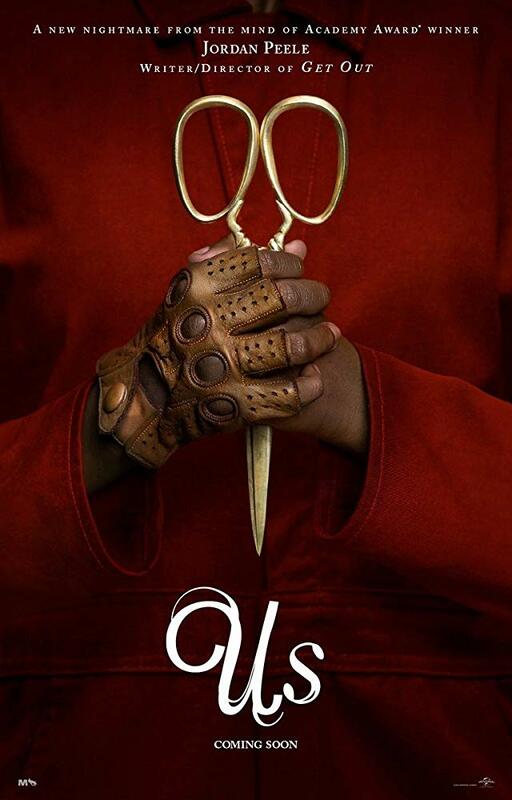 Jordan Peele's Us dominated the weekend box office delivering the second largest opening ever for a live-action, original film, with over $70 million in tickets sold. With an estimated $70.25 million, Us topped the weekend box office with 1) the third largest opening of all-time for an R-rated horror film 2) the largest opening for a live-action, original film since Avatar's $77 million debut back in 2009 (which isn't bad for a list dominated by sequels), 3) the largest opening for an original, R-rated film, not to mention 4) the largest opening for an original horror film, topping last year's A Quiet Place ($50.2m), and while Captain Marvel set the record just a few weeks ago for the largest opening for a film with a female lead Us had 4) the largest opening for a movie with a black female lead of all time. Go you, Lupita Nyong'o! This beyond expectations performance came with a "B" CinemaScore from opening weekend audiences, which is just a hair below the "A-" for Get Out, but is still a solid audience grade for a horror film. Furthermore, the overall opening weekend audience was split 50/50 among males and females with 53% of the overall audience being twenty-five or older; fairly well-balanced all around. Speaking of Captain Marvel, the Marvel Studios film fell to second place in its third weekend of release, delivering an estimated $35 million for a domestic total of over $321 million. Paramount's Wonder Park, fell to third place in its second weekend, delivering an estimated $9 million while CBS Films's Five Feet Apart dropped to fourth place in its second weekend as well, pulling in an estimated $8.75 million. Rounding out the top five is DreamWorks Animation's How to Train Your Dragon: The Hidden World, in its fifth week in release the film dipping just -30% for a $6.5 million weekend and a domestic cume that now tops $145 million. As always, be sure to follow the official Initial Reaction YouTube channel as well as on Facebook, Instagram, and Twitter where you can find a new review (or reviews) each week! Read my full US review here.